What are the driving factors which make a good explorer? Curiosity? Stamina? 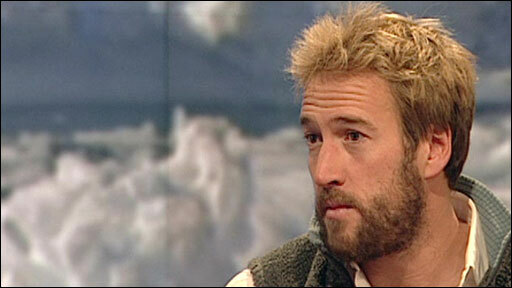 Well, this month intrepid TV presenter Ben Fogle will be discussing just that at the Royal Geographic Society in London. The man who famously achieved an N in A-Level Geography is The Adventure Company’s Ambassador for Adventure, and he will relieve his recent Year of Adventure during this 50 minute talk. The Year of Adventure saw Fogle travel all over the world testing his own limits of endurance, strength and agility and demonstrate what anyone can achieve if they really put their minds to it. From making the perilous 1.5 mile swim from Alcatraz Island to San Francisco Bay to diving under an Icelandic glacier in freezing waters to see where the North American and Eurasian tectonic plates join, Fogle’s pursuit of action and adventure has taken in some of Earth’s most breath-taking place. Speaking of his partnership with The Adventure Company, Ben Fogle said: “Adventure for me is what you make of it – there will be moving moments, challenging moments and exciting moments but ultimately that’s what adventure is all about and you’ll have stories to tell for years to come. Adventure has changed my life and given me confidence. I have overcome many physical and mental obstacles and every trip I go on I come back a changed person. “20 years ago the sort of things you can do now with The Adventure Company were never available. It just takes a little bit of trust to step outside your comfort zone – don’t be blinded by fear; if you surround yourself with experts like The Adventure Company then it will lead to unforgettable experiences. I really can’t wait to start sharing my passion for adventure and travel with my kids and to take in new experiences together as a family. It’s almost education by stealth – learning about geology, history, ancient civilisations and cultures without them even realising. And it’s fun!! Ben Fogle’s talk with The Adventure Company will take place at 7pm on 31 May at the Royal Geographic Society, Kensington. Doors open 6.15pm. Tickets £10pp.